'Everybody has the blues, everybody understands the blues' - A lasting statement from an immensely revered blues icon who passed from this life on 1st December 1992 and who left a hole in the music world that has yet to be filled and most certainly, never will be. King related the blues to a whole new world of listeners, mainly white, young kids from across the Atlantic and at home who would embrace the blues and the kings with a feverish passion. Here are two of those legends. 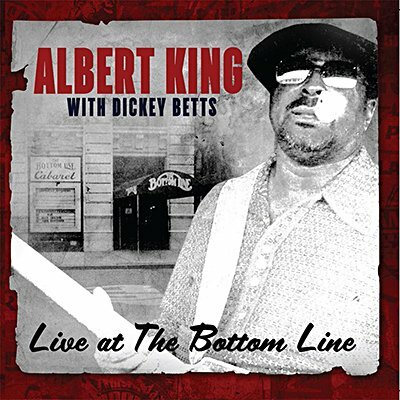 Echoes proudly presents the entire WNEW-FM broadcast of Albert King featuring Dickey Betts live from the Bottom Line, New York on 29th September 1976. Professionally re-mastered original broadcast with interviews, background liners and rare archival photos.